Shoppers, residents and Clifton Village visitors will be able to experience a truly unique venue in the Village as of this Wednesday, November 16th on the opening of Cordial & Grace. The “modern tea rooms and sewing cafe” opening at 9 The Mall (the former home of Indian restaurant Posh Spice) will be a place where customers can enjoy an afternoon tea in the ‘elegant, smartly decorated and brightly coloured tea room’, rent a sewing machine by the hour in the downstairs parlour, or simply enjoy a coffee and a cake. There will also be a selection of hand-picked fabrics and haberdashery available to buy. Opening on Wednesday, November 16th, Cordial & Grace will offer inventive brunch dishes and sumptuous afternoon teas complete with a range of carefully selected loose-leaf teas, homemade cakes and and fairly traded coffee, all of which can be accompanied with a glass of Prosecco or wine, as the premises are licensed. Food and drink at the new venue has been sourced from local suppliers wherever possible. 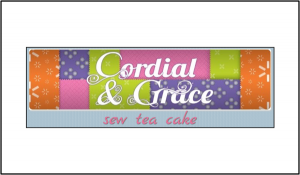 Cordial & Grace owner Maria Whiteman says, ‘I am delighted to be able to share my passion for sewing, tea and cake with Clifton. It’s been a long-held dream of mine to open such an establishment and I am so excited to have found the perfect ‘posh’ premises in Clifton, which has been my home for over 10 years. I hope to welcome a range of visitors, such as those dashing in for a quick cuppa and slice of cake, those enjoying brunch with the morning papers, those who fancy a glass of wine (or bubbles) with their cake, as well as the full afternoon tea experience. I’m also hoping the space will take the fear out of using a sewing machine and inspire people to discover the joys of simply being creative in the downstairs parlour. 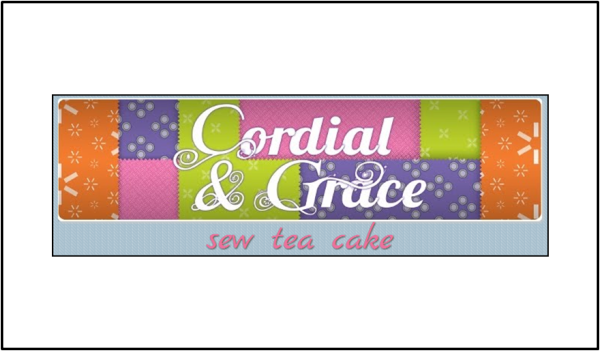 From January, Cordial & Grace plans to offer a full range of sewing and craft workshops in its specially designed basement parlour. Until then, the sewing machines will be available to rent by the hour for both novice and expert sewers alike, with experienced sewing staff on hand to help. There will also be a few festive themed workshops held in December. The downstairs parlour will also be available for private hire and the whole premises are available exclusively for special events such as hen parties, private dining and children’s birthdays. Maria also has plans to welcome other local craftspeople to host workshops in the building – keep an eye on www.cordial-and-grace.co.uk for more details! We’ll be heading over there this week to have a look – it’s great to see somewhere a little different opening up in the Village, and we wish Maria the best of luck!